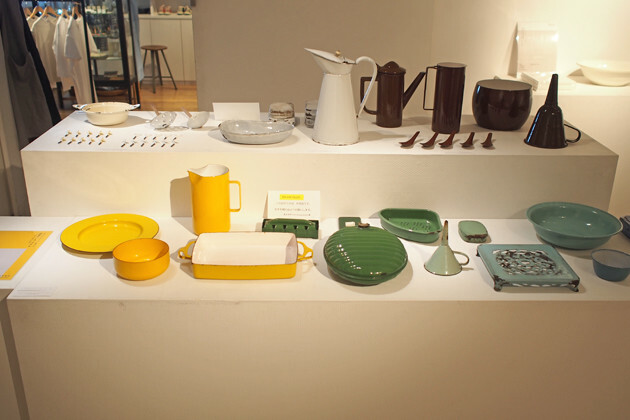 "BANKO archive design museum" Exhibition, now at "DO"
We are now showing the "BANKO archive design museum" special exhibition at CLASKA Gallery & Shop "DO" (CLASKA 2F). Established in 2015 by distinguished potter Koichi Uchida, the private museum "BANKO archive design museum" is located in Yokkaichi city (Mie prefecture). 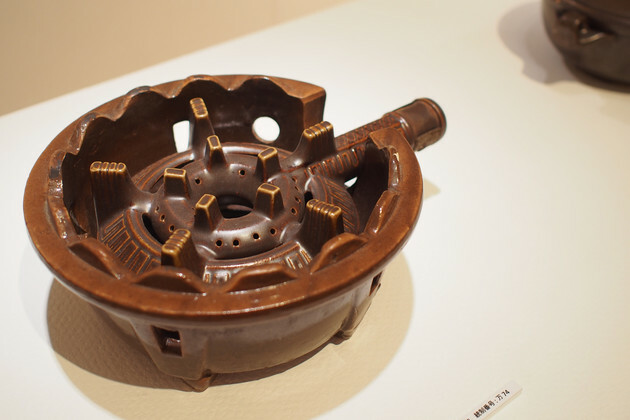 It is a unique museum that archives Bankoyaki pottery works that developed as a local industry back from over 100 years ago, many with an uncommon design and history background. "DO"s director, Takeo Okuma and Uchida had known each other through their paths and pursuits. Last year "DO" and "BANKO archive design museum", along with "Azumaya" started a project together, where hidden fine works from the Bankoyaki history is brought into light and re-made, and the first item "Banko-Kagamiyaki" was released. This spring, "DO" is celebrating it's 10th anniversary, and we are happy to be introducing the unique collection from Yokkaichi, showing for the first time in Tokyo. 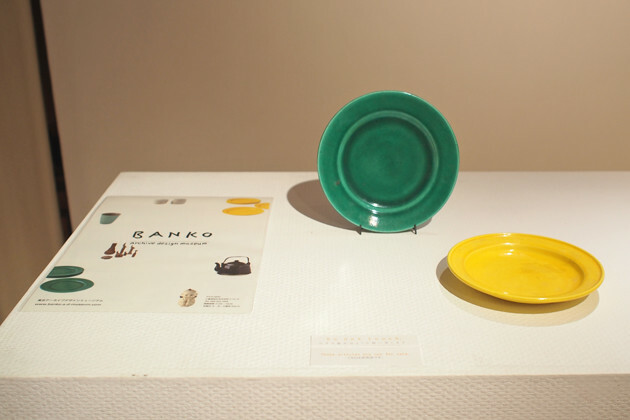 Along with selected items from the permanent collection of "BANKO archive design museum", we have archive displays of items from the 3 featured exhibitions held so far. Since the Meiji era, Bankoyaki has developed as a local industry in Yokkaichi city, and in 1979 "Yokkaichi Bankoyaki" was certified as a traditional craft. The name "Bankoyaki" came from the merchant's family name who first opened the pottery in the Mid-Edo era. 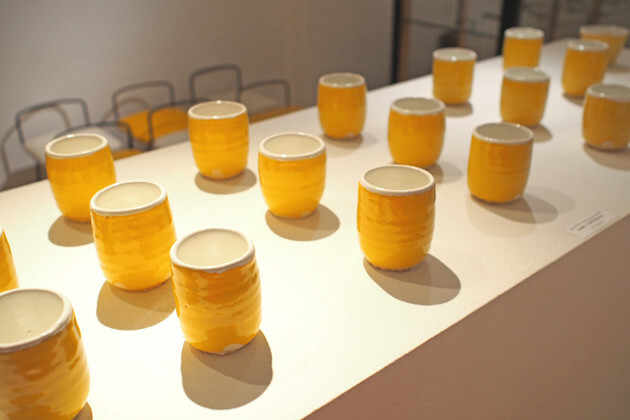 It is origined from the word "Banko-fueki", with the wish to prosper as a pottery in the many years to come. 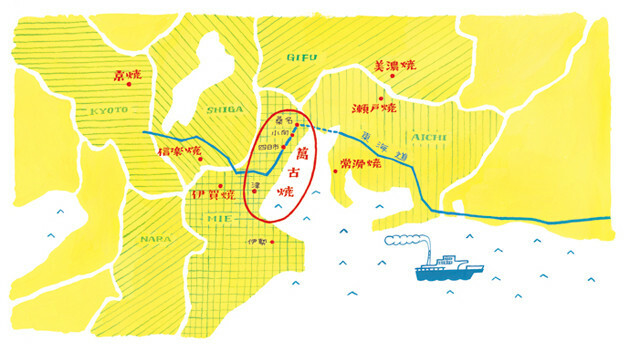 As a large post-town in the "Tokaido" (a road that connected Kyoto to Edo), Yokkaichi was not granted the rich soil compared to other pottery cities near by, such as Seto, Mino or Tokoname. However, the obstacle lead to the unique development of Bankoyaki. 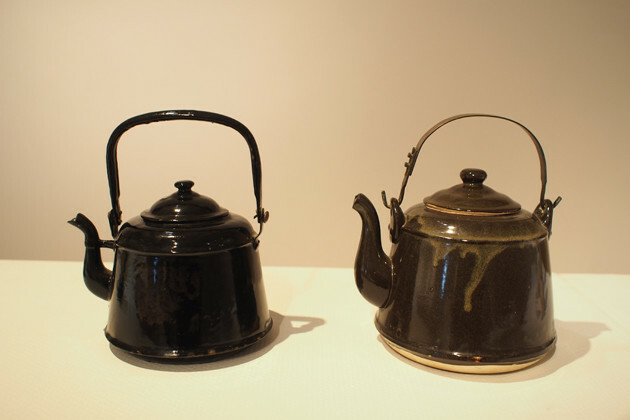 For example, the now famous Shidei (purplish mud) tea pots were created as a breakthrough to a crisis when Yokkaichi ran out of white mud. Also, developing an overseas' market, or coming up with new methods were strengths the Yokkaichi craftsmen carried, which paved the enhancement of their pottery work over the decades. 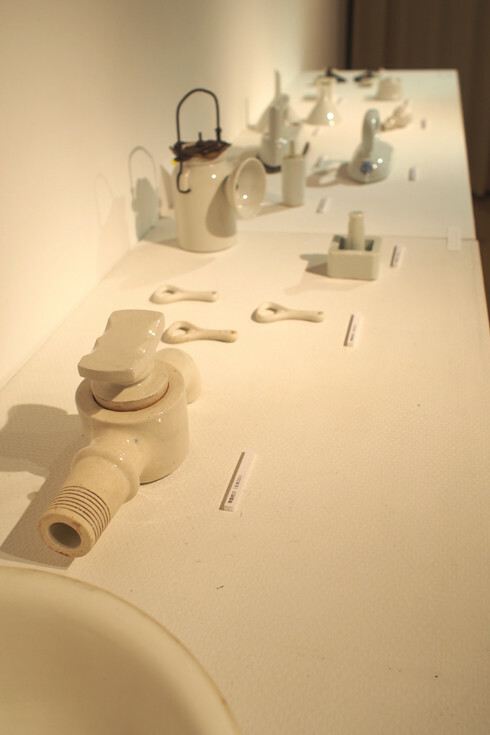 Many of the items exhibited at "DO" are "Controlled Pottery" or "Substitute Pottery" made in the Showa-era, when World War Ⅱ took place. During recession and wartime shortages, manufacturing was contolled by the government. Look in the back and their is a stamp that shows the manufacurer and number. 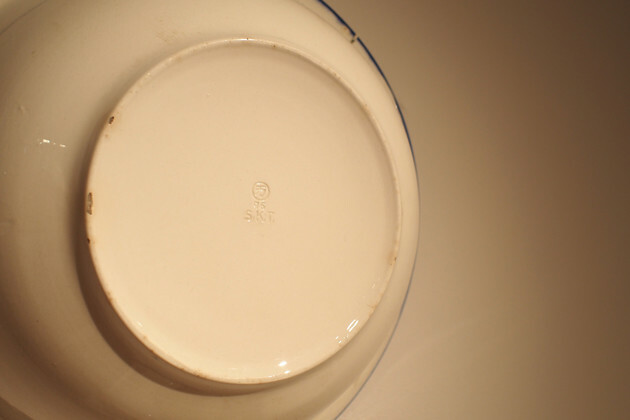 Because of the poor soil of Yokkaichi, tableware was rarely made. Piggy banks to encourage citizens to save and be prudent, graters, wash basins, chains and more were made. From shortage of metal and glass, gas burners and stoves, kettles, and even urine bottles were made by pottery. You can see the pottery imitated stoves and kettles thoroughly. Although the history background is somewhat depressing, the design perfection and high techniques shown in each work is simply impressing. 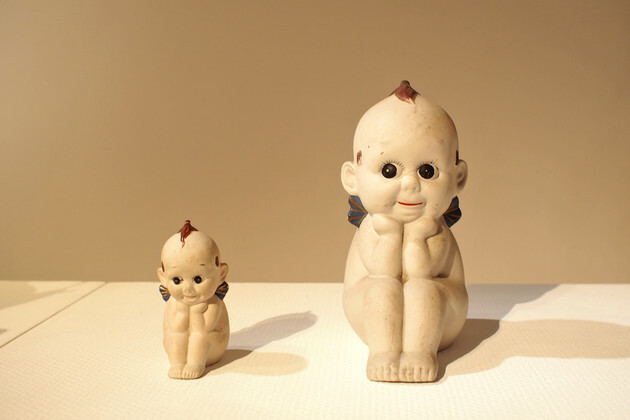 Even pottery made Kewpie dolls, something collectors come to see all the way to Yokkaichi. 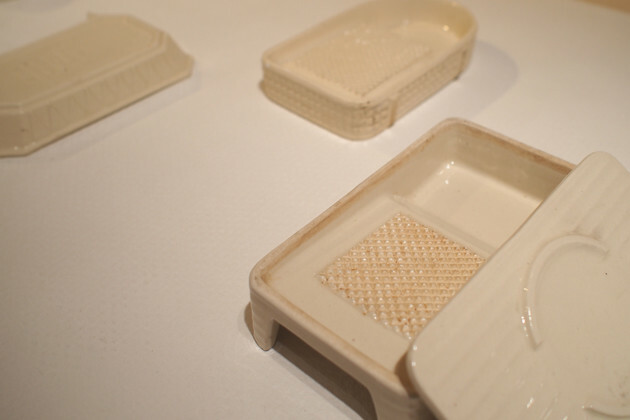 Another traditional Bankoyaki method; wooden molds for making teapots. Along with the teapots, the now obsolete wooden molds are displayed. The idea, the delicate forms, and the accuracy of the completed work is astonishing especially considering that it was handmade decades ago. 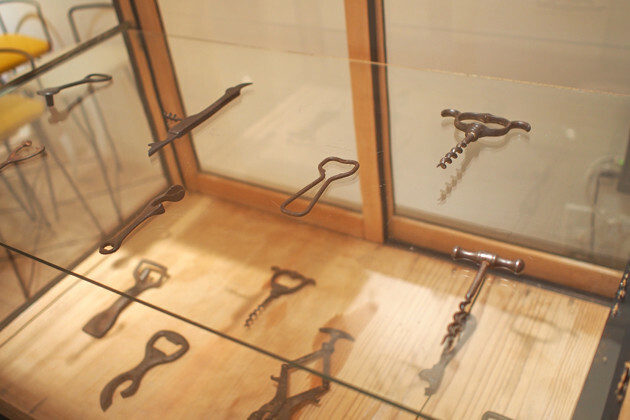 Since its' opening in 2015, "BANKO archive design museum" has held 3 special exhibitions. In these design featured exhibitions, a theme is set each time - "form" "color" "material" or "person". 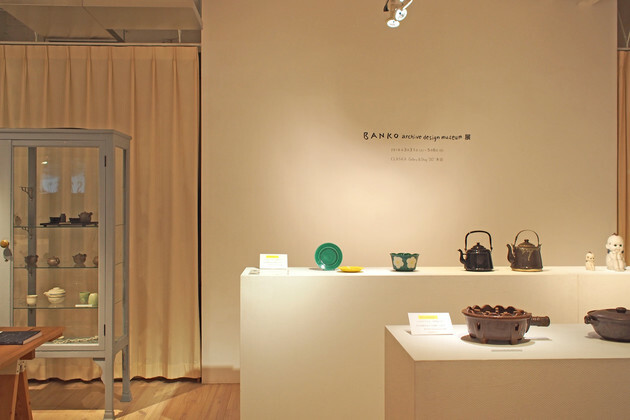 Not only Bankoyaki works are gathered and exhibited, but old goods, antiques and curios from all over the world under the same theme is displayed. At "DO", we are now showing a little bit of each 3 exhibition. 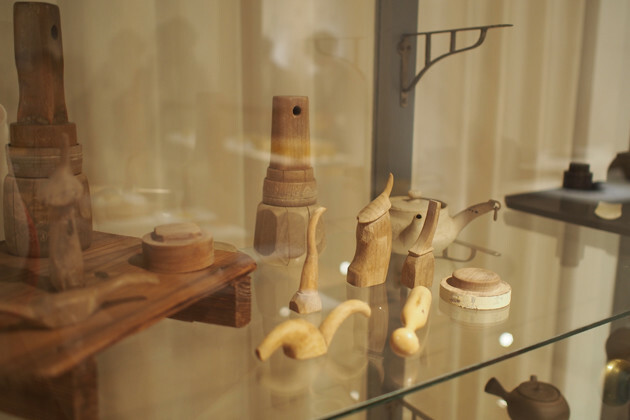 Old items, mainly not made anymore, and items that were on the market as industrial producs rather than art or craft - are gathered and re-examined in these exhibitions. The relation between material, purpose and design, the high techniques and knowledge required to create, and the amuse and flexibility each item carries as a product - is somewhat like that of a Bankoyaki. We also have catalogs for each exhibition in stock, so you can take a thorough look at home too. Along with over 100 items on display, we have a mini-shop corner aside. 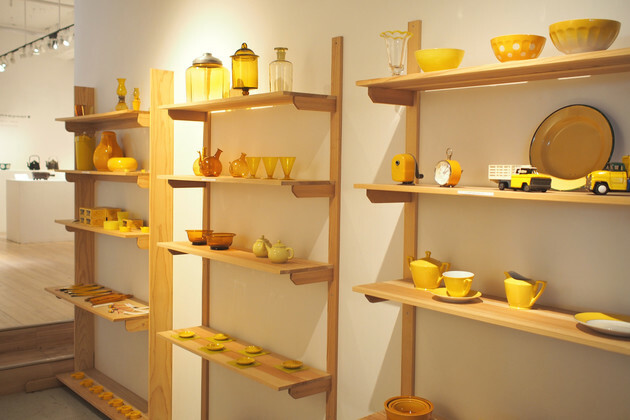 Yellow items Uchida collected from around the world are available for purchase, with the museum's original goods too. We don't have items for stock, so check early. The unique collections invites us to the uncommon world and history of Bankoyaki, through it's industrial background and design. 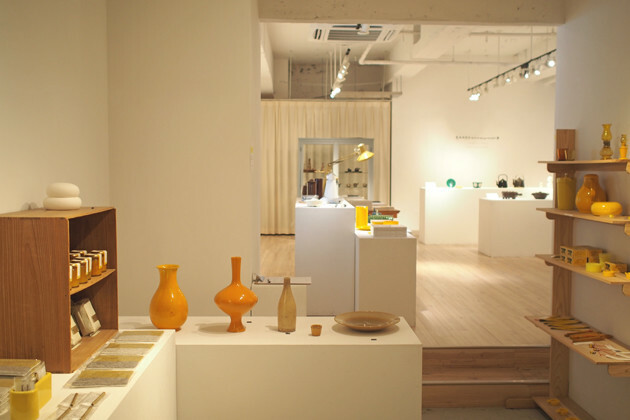 It's a special opportunity that you can see it now in Tokyo, so drop by "DO" if you are visiting CLASKA.